5K from 8:30 to 11 am. 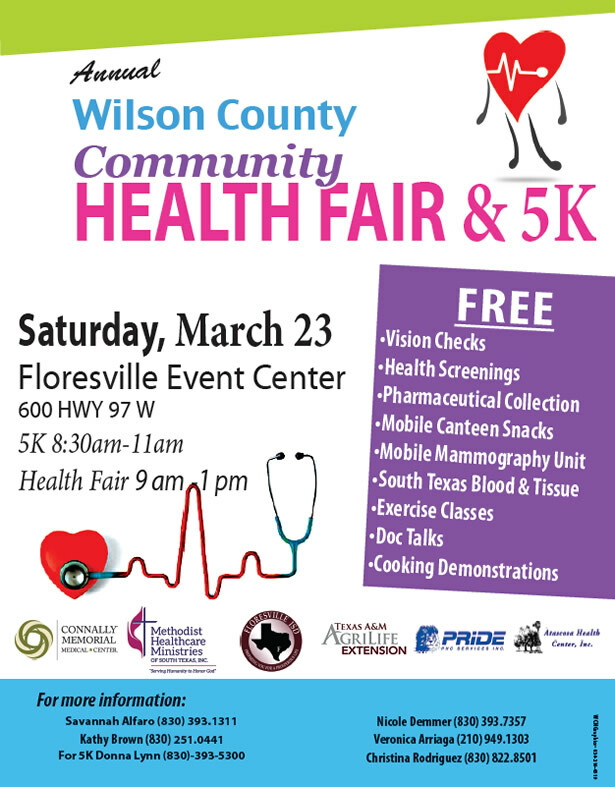 Health fair from 9 am to 1 pm: free health screenings, vision checks, snacks, cooking demonstrations, doc talks, exercise classes, mobile mammography, pharmaceuticals, and more. Health fair is free. Registration fees apply for 5K. For more information on the health fair, contact Nicole Demmer at (830) 393-7357 or nicole.demmer@ag.tamu.edu. For 5K information and registration, visit Athlete Guild or contact Donna Lynn at dlynn@fisd.us or (830) 393-5300.